The Minister for Agriculture has issued a firm warning to farmers that they risk prosecution and a cut to financial support if found responsible for any illegal burning during the closed season. It is currently an offence under the Wildlife Act 1976 to burn any vegetation growing on land not then cultivated from 1 March to 31 August. According to Michael Creed, TD, land found to have been burnt illegally during this period will not be eligible for payment under the Basic Payment Scheme and other area-based schemes. Where an applicant is found at inspection or on receipt of a report from NPWS to have breached requirements for the Basic Payment Scheme in relation to burning, a penalty can be applied. The inclusion of illegally burnt land in an application for the 2018 Basic Payment Scheme may also result in reduced payment and penalties under this scheme, Minister Creed added. According to the Environmental Pillar, the problem of burning has been influenced by “incoherence” in national and EU policy. The Pillar, a coalition of 30 environmental groups, said, for example, that the Common Agricultural Policy penalises farmers if their land contains high-nature value scrub commonly found in Irish uplands. Irish uplands are essential for endangered birds such as the near extinct curlew that mate and establish nesting sites in March. Minister Creed warned that farmers and landowners found to have burned land during the closed period also risk prosecution by An Garda Siochana or the National Parks and Wildlife Service (NPWS). According to the Environmental Pillar, however, enforcement has been weak at best in recent years. Documents released to the Irish Wildlife Trust under Freedom of Information legislation last year revealed that the use of satellite images to monitor burning on farmland had not led to any penalties for landowners since its introduction in March 2016 up to the end of last summer. In total, only eleven prosecution cases were taken under the Wildlife Acts for illegal burning of vegetation between 2007 and April last year. The Pillar warned that strict enforcement on upland burning is “vital” to avoid the “level of devastation” seen last year when a series of deliberately started scrub fires raged across the country. 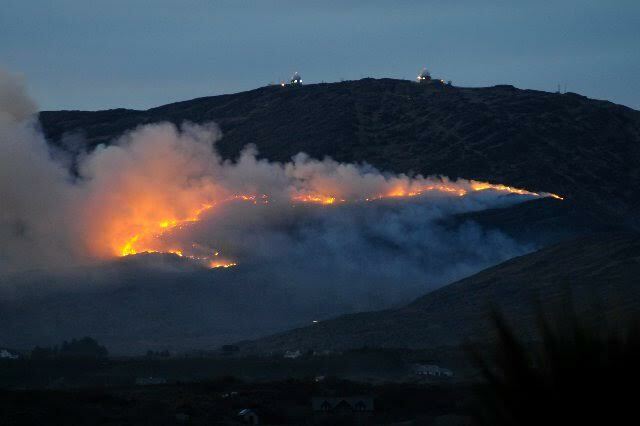 Thousands of hectares of mountain, hill, bog and forest habitat were destroyed within the first two months of the prohibited period last year, with the Fire Service, Air Corps, and Defence Forces called in on several occasions. In the North, two active Hen Harrier nests – a protected species – were destroyed in the Sliabh Beagh Special Protection Area. “Our wildlife deserves better than this,” said Oonagh Duggan of Birdwatch Ireland. She also highlighted the impact of burning on peat soils and the knock-on impact on water supply, flood protection, and carbon sequestration. “[Upland burning] is also injurious to public health and may damage property, as we tragically saw last May in County Mayo as the home of a family of five burned to the ground,” she added. 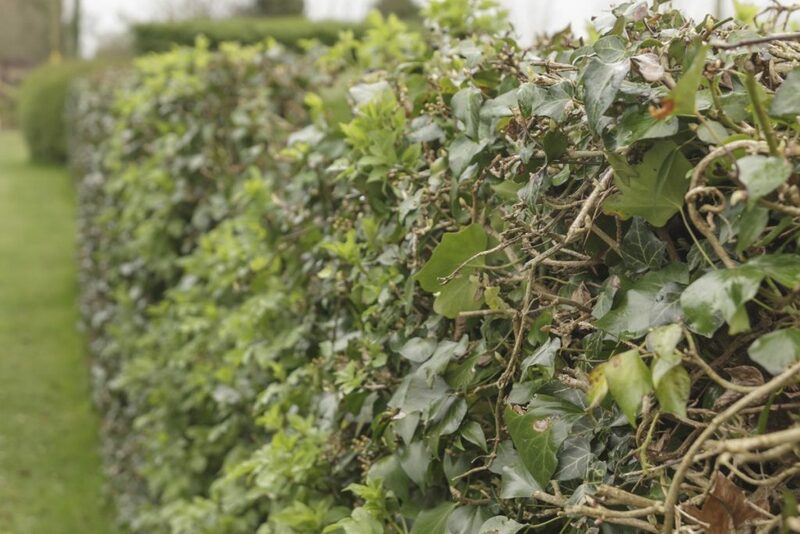 Numerous environmental groups and members of the public also reported cases of cutting and flailing of roadside hedges during the prohibited period last year. Hedgerows provide foods for numerous species of birds, bees, and butterflies all throughout spring and summer, as well as nesting sites for many bird species. The Wildlife Act gives grounds for roadside hedge cutting during the closed season for reasons of public health or safety but only by or under the instruction of a local authority. According to Mark McDowell of the Hedge Laying Association of Ireland (HLAI), the majority of incidents reported to the group last year were of a “very questionable nature”. Elaine McGoff, An Taisce’s Natural Environment Officer, warned that hedgecutting during the closed period will “drive declines” in a number of birds and may push some birds and pollinators “towards national extinction”. “This is not the kind of legacy we should be leaving to future generations,” she warned, adding that healthy hedgerows prevent soil erosion, store carbon and contribute to tackling climate change.